True complement to toothpaste, the bath Coslys Mouth ensures complete protection of your teeth and gums. Your teeth are better protected and your breath is fresh! Deep cleaning with bath Coslys Mouth! 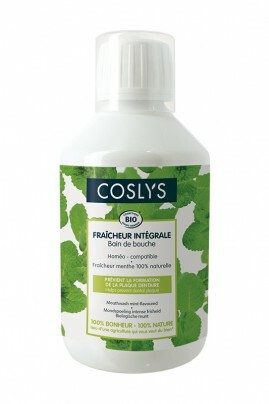 For a healthy and protected mouth, use the full protection Coslys mouthwash after each brushing. Using the measuring cap, collect product 20ml and rinse your mouth for 30 seconds. Finally spit out the product.